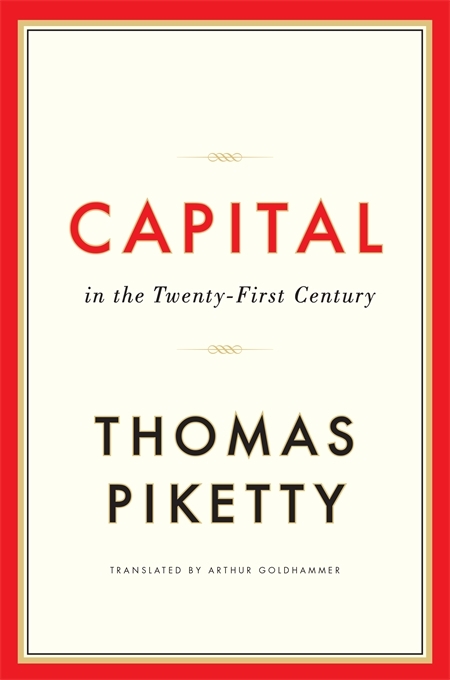 Thomas Piketty’s, Capital in the 21st Century, has attracted worldwide attention not because he crusades against inequality –many of us do that– but because of its central thesis, based on his reading of the 19th and 20th centuries: that capital “mechanically produces arbitrary, unsustainable inequalities” inevitably leading the world to misery, violence and wars and will continue to do so in this century. Thomas Piketty like many western academics on a tight budget when faced with poor and nonsensical statistics outside Western nations instead of going to the field to do his own sampling, he takes European class categories and statistical indicators and extrapolates them onto such countries and uses them to draw global conclusions and a universal law ignoring the fact that 90% of the world population lives in developing countries and former Soviet states, whose inhabitants produce and hold their capital in the informal sector, that is to say, outside of official statistics. This flaw has implications that go far beyond mere accounting: It turns out that the kinds of violence that erupted in places like Tahrir Square, Egypt, in 2011 occur where according to our field studies capital plays a decisive if hidden role that Eurocentric analysis cannot perceive. 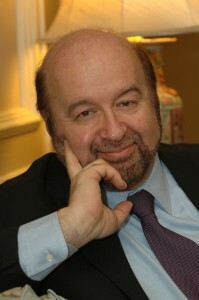 At the request of the Egyptian Minister of the Treasury, my team along with 120 mostly Egyptian researchers not only studied official documents but also acquired local information on the ground, going door to door, to get data that allows government to test its conventional statistics for truth and completeness. We discovered that 47% of so-called “labor’s” yearly income is “capital”: Almost 22.5 million workers of Egypt earned not only a total of US $20 billion in salaries, but additionally $18 billion more through returns on their unrecorded capital. Our study showed that Egyptian “workers” own an estimated US$360 billion in real estate, 8 times more than all the foreign direct investment in Egypt since Napoleon’s invasion. It is no wonder that Piketty, looking only at official statistics, missed all those facts. The Arab spring was triggered by the self-immolation in the former French colony of Tunisia, in December 2010, of Mohamed Bouazizi. Because official Eurocentric statistics classify all people who are not working at formally recognized firms as “unemployed”, it was not surprising that most observers quickly labeled Bouazizi as an “unemployed worker”. But this classification system missed the fact Bouazizi was not a laborer, but a businessman since the age of twelve, who very much wanted more capital (ras el mel in Arabic). A Eurocentric classification system blinded us to the fact that Bouazizi in reality was leading an Arab industrial revolution of sorts. It wasn’t just him. Thereafter, we discovered that 63 other entrepreneurs, within two months, all inspired by Bouazizi, attempted public suicide throughout MENA and sparked millions of Arabs to pour into the streets, toppling four governments nearly immediately. Over two years, we interviewed about half of the 37 self-immolators who survived their burns and their families: all the self-immolators were driven to suicide for being expropriated of what little capital they had. Some 300 million Arabs live in the same circumstances as the entrepreneurial self-immolators. We can learn several things from them. First, capital is not at the root of misery and violence but rather the lack of it. The worst inequality is not to have capital. Second, for most of us outside the West, not prisoners of European categorizations, capital and labor are not natural enemies but intertwined facets of a continuum. 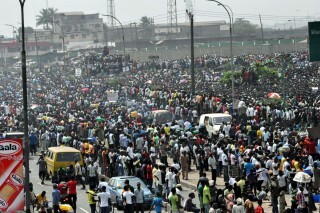 Third, most important constraints to development of the poor arise from their inability to build and protect capital. Fourth, the willingness to stand up to power as an individual is not exclusively a Western trait. Bouazizi and each of the self-immolators are Charlie Hebdo. I couldn’t agree more with Piketty when he says that lack of transparency lies at the heart of the European crisis, ongoing since 2008. Where we part ways is at the solution he proposes: assembling a giant ledger –a “financial cadaster”– that includes all financial paper. That makes no sense since the problem is that European banks and capital markets abound in what Marx and Jefferson called “fictitious” capital or paper that no longer reflects real value. Why would anyone want a cadaster of trillions of dollars and euros of obscurely bundled derivatives, based on untraceable or poorly documented assets that are swirling mindlessly in European markets? A cadaster that merely sums up the “value” of all these instruments therefore would do nothing more than report a meaningless number for fictitious capital. Especially considering that a major reason why the European economy is barely growing is that no one trusts the financial institutions that are holding this paper. So how can we go about creating a cadaster of reality and not fiction? How can governments get a grip on economic facts that can be tested for truth in a global market full of illusory paper? How can we locate, fix and control something as immaterial and transcendent as capital? Of all people, the French have supplied the answer with their property record-keeping systems developed before, during and after the French revolution. In those days feudal record keeping systems couldn’t keep up with the growing force of expanding markets and recessions flew out of control as trust among the French disappeared and people took their frustration to the streets. French reformers responded not by trying to cadaster a messy financial system but by creating radically new fact gathering systems that mirrored reality and not fiction. Simple and brilliant: Property records, as opposed to financial records, are written up in rule-bound and publicly accessible registries and contain all the knowledge available relevant to the economic situation of people and the assets they control. No one can afford to be incorrect about the amount of capital they own, as they would otherwise lose it. 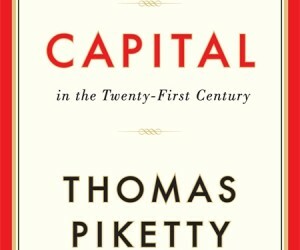 Piketty has his heart in the right place but his papers in the wrong archives. The issue in the 21st century in the West is assetless paper and everywhere else it is paperless assets. How do you deal with misery, wars and violence at a time when most of the records of the world have stopped representing crucial aspects of reality? French history particularly the French revolution is a good place to start.